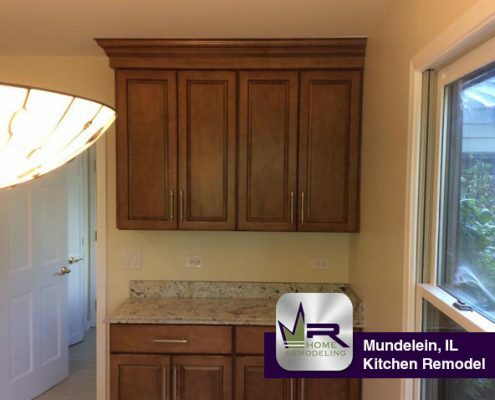 This home can be found in Mundelein near the intersection of North Lake Street and West Maple Avenue right near Loch Lomond Lake. 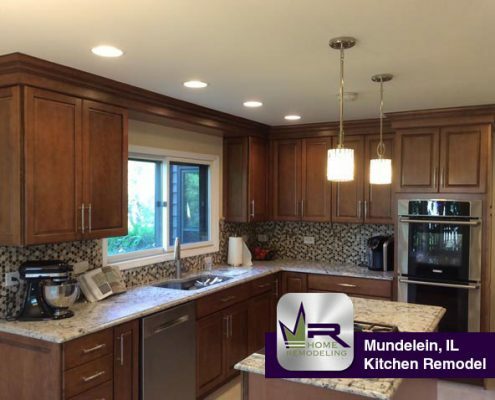 Mundelein is a village in Lake County and is recognized as a Northern Suburb of Chicago. 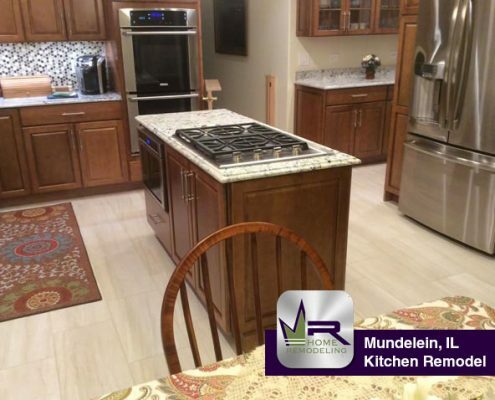 According to the 2010 census report, Mundelein has a population of roughly 31,000 residents. 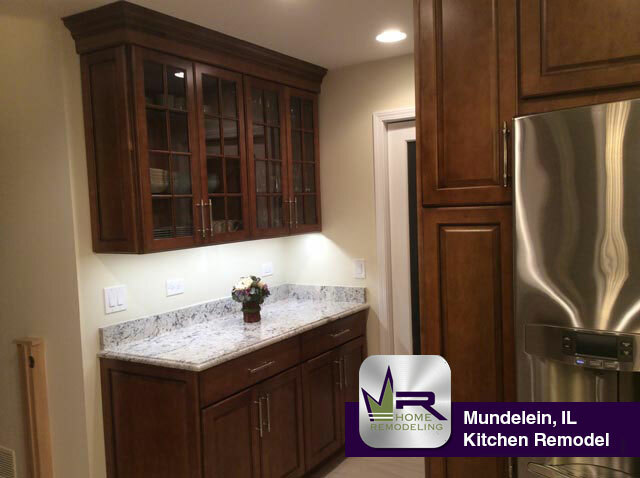 Students living in Mundelein are afforded the opportunity to attend Mundelein High School, which has been recognized several times and has been awarded: The Blue Ribbon School Award of Excellence by the Department of Education, the Lincoln Bronze Award, and a selection by School Search as a Red Apple Award Recipient. 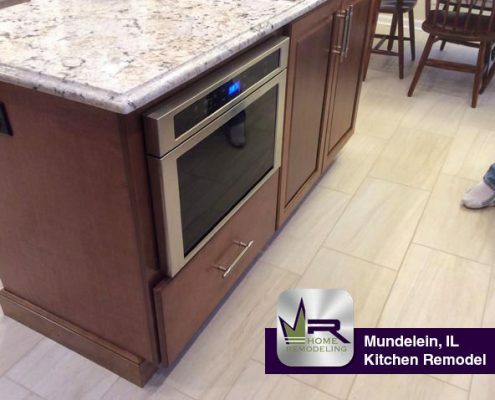 Some of the popular restaurants nearby include: China Court, Luigi’s, Quiznos, Emil’s Sports Bar & Pizza, Original Omega Pancake House, Tamales, Diana, and many more. 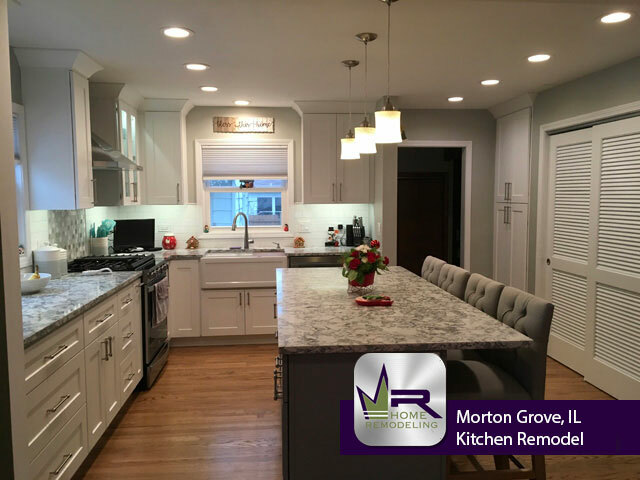 The owners of this home wanted to change the layout and the style of their kitchen. They were interested in changing the counter layout in favor of a more open kitchen space that would flow more seamlessly into the dining room area while also increasing counter space. 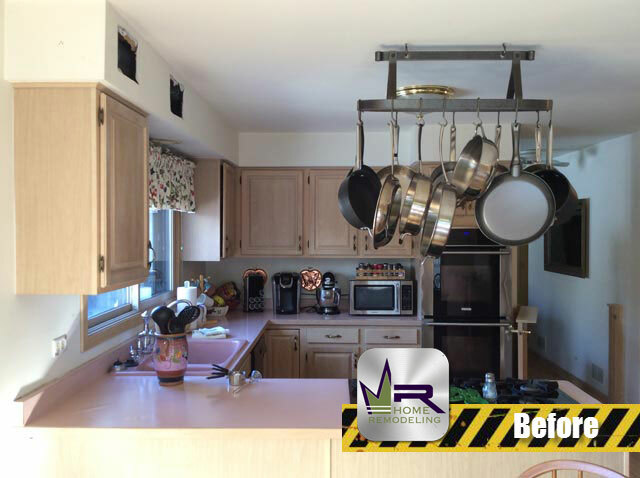 They were also ready to spruce up the style in favor of a more modern and elegant style. 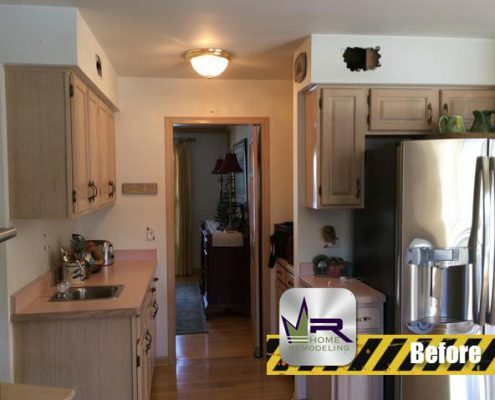 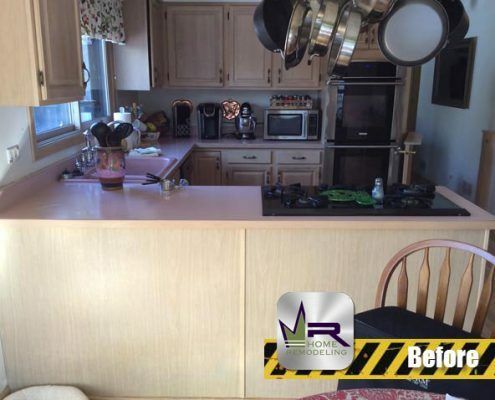 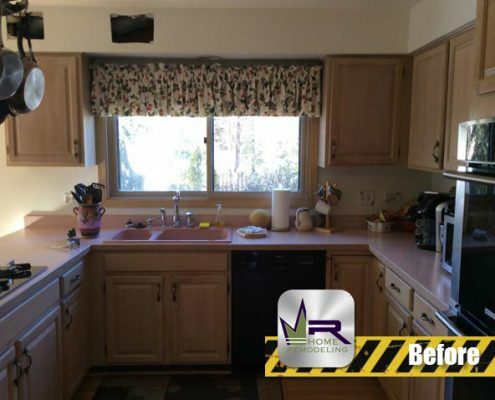 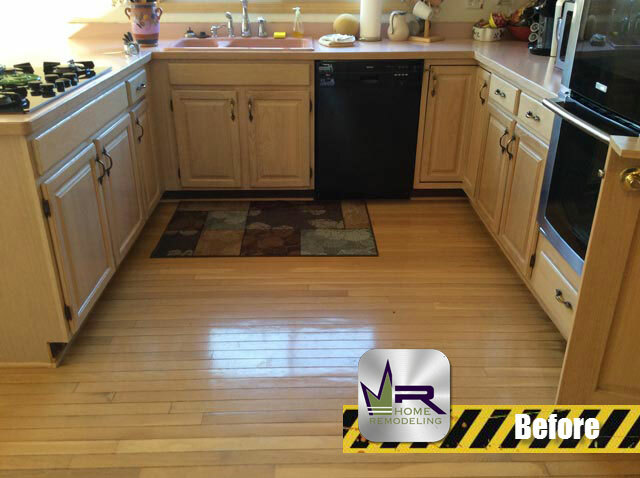 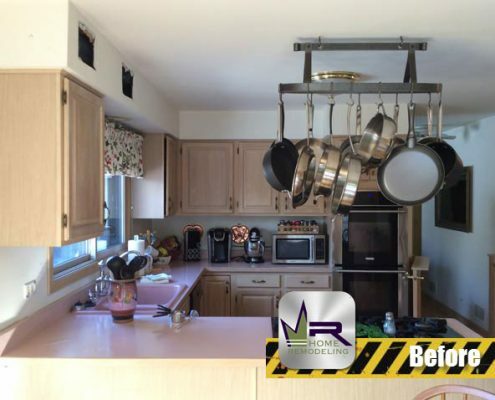 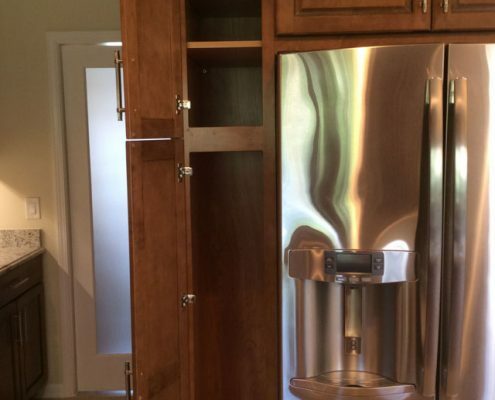 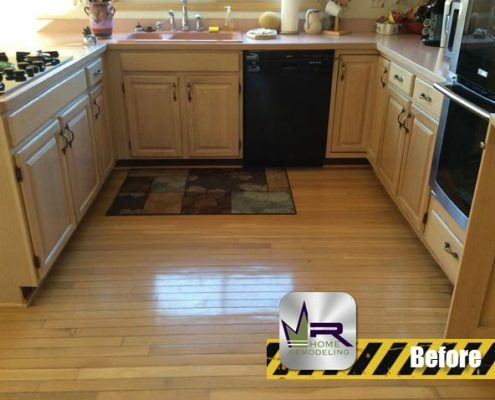 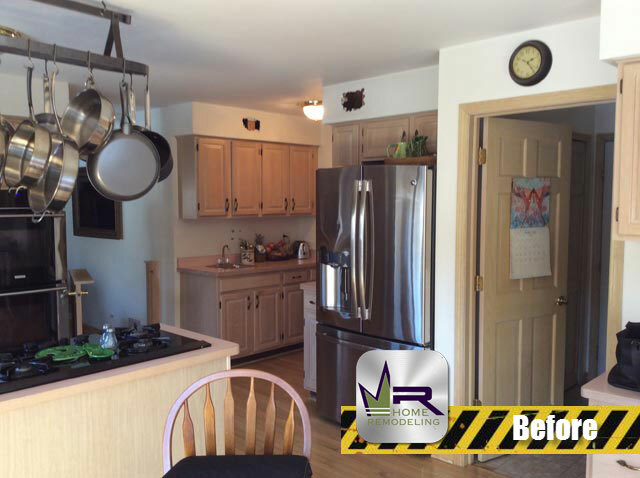 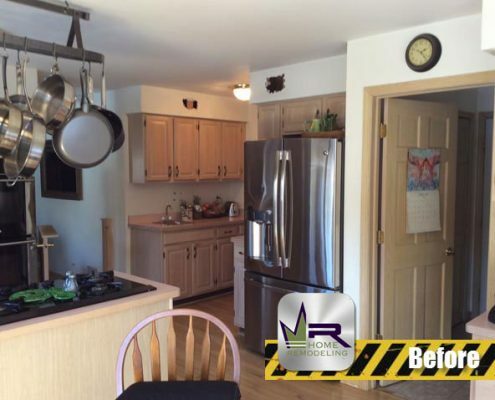 This remodel was started with the demolition and removal of all flooring, cabinetry, and some of the appliances. 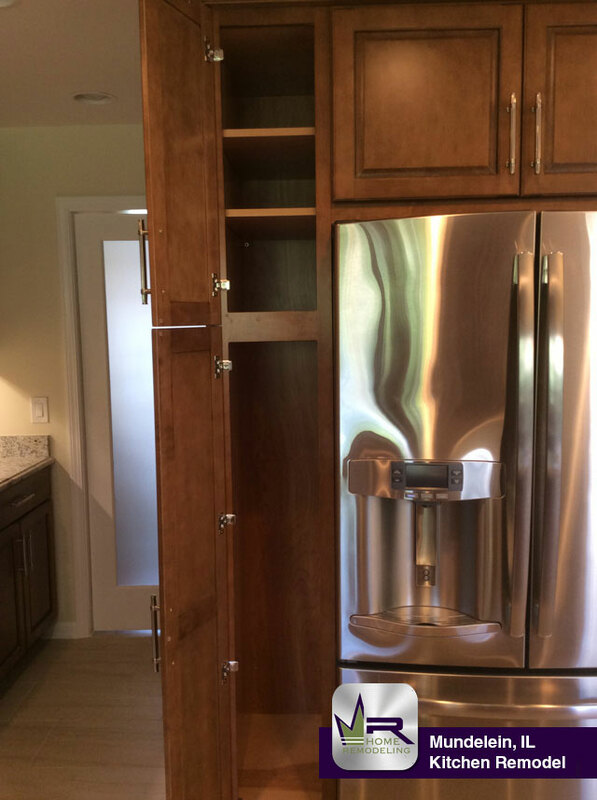 Then, new electrical wiring was installed for the new dishwasher and stove locations. 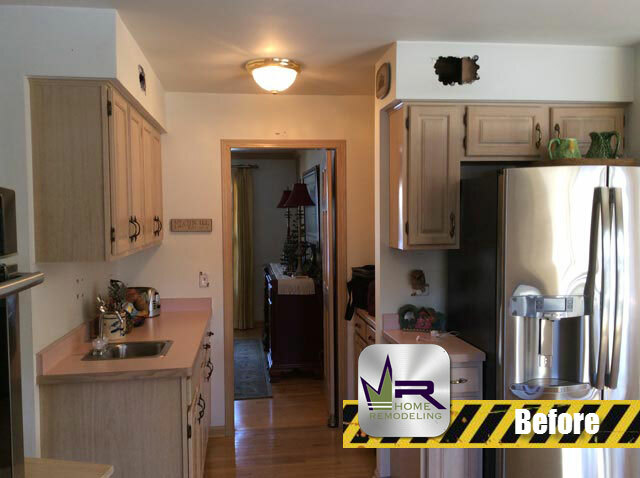 Additionally, new electrical wiring was installed for the recessed cans that were to be installed in order to increase the brightness of the space. 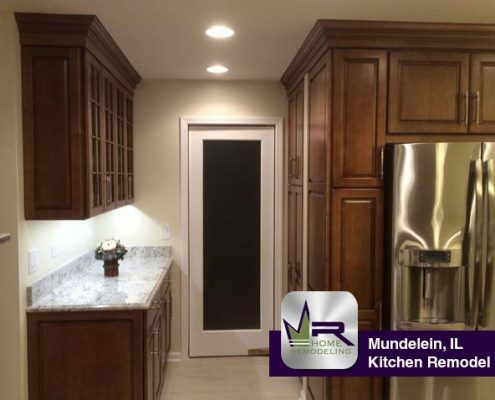 This kitchen is amazing! 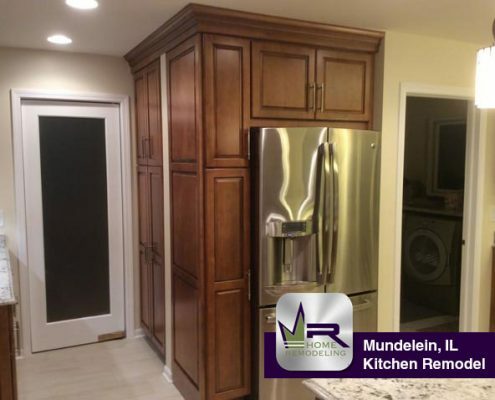 The new layout proposed by Regency making the space much more practical and creates a much more open concept compared to the preexisting space. 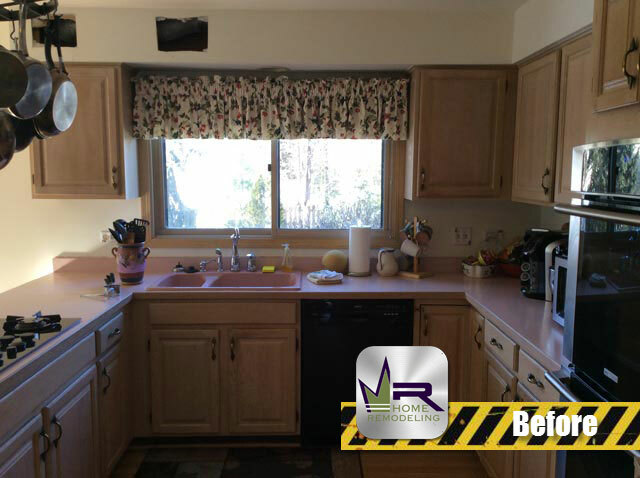 The countertops were previously arranged in a U-shape, which blocked off much of the kitchen area from the rest of the surrounding area. 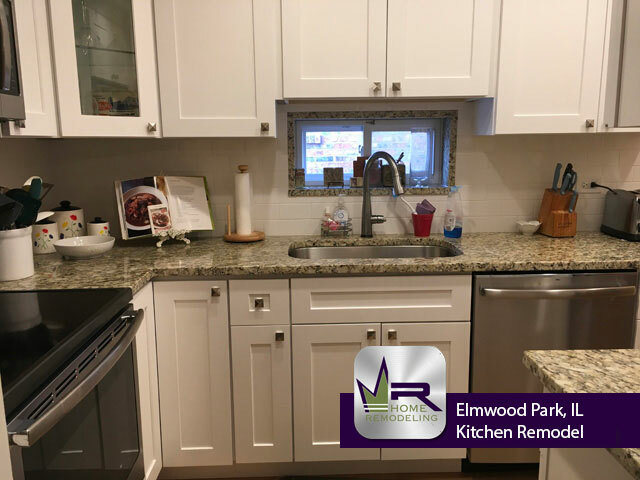 This layout was changed by using a longer L-shaped countertop and installing a very convenient and practical island in the center of the kitchen. 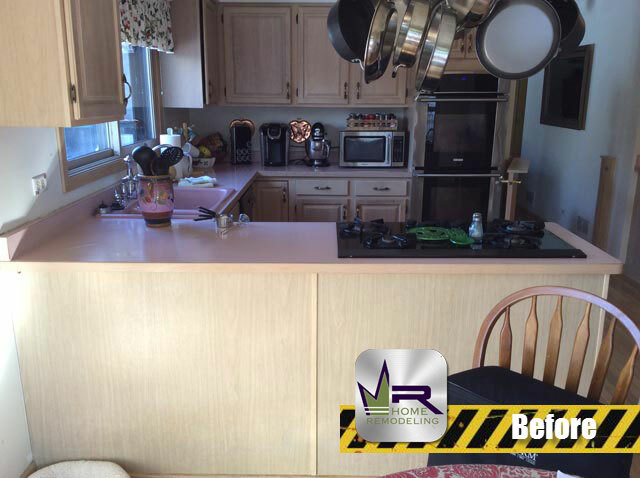 This change significantly increased counter space while making the entire kitchen feel much more spacious. 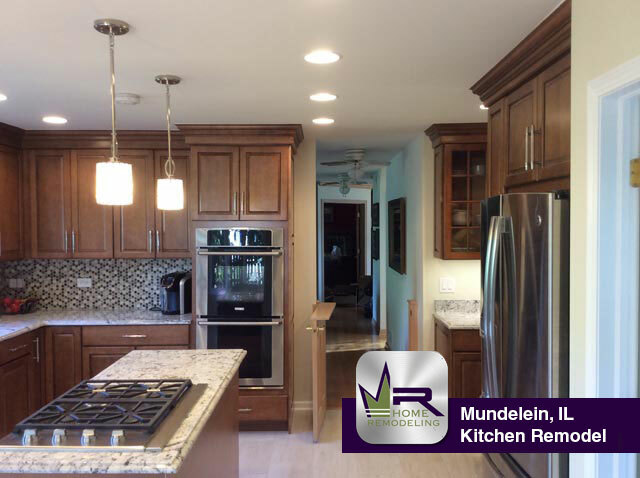 The new color scheme is much warmer and more contemporary than the preexisting space. This was accomplished with the installation of the White Ice Granite countertops and Beige Linden Point flooring from Daltile. 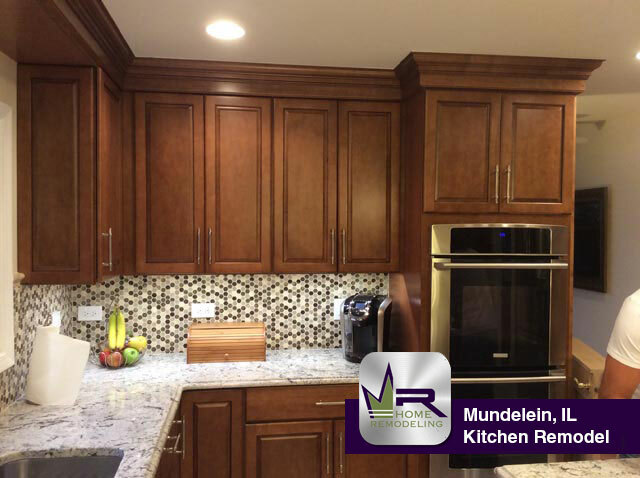 Darker cabinetry was installed for a warm appearance. 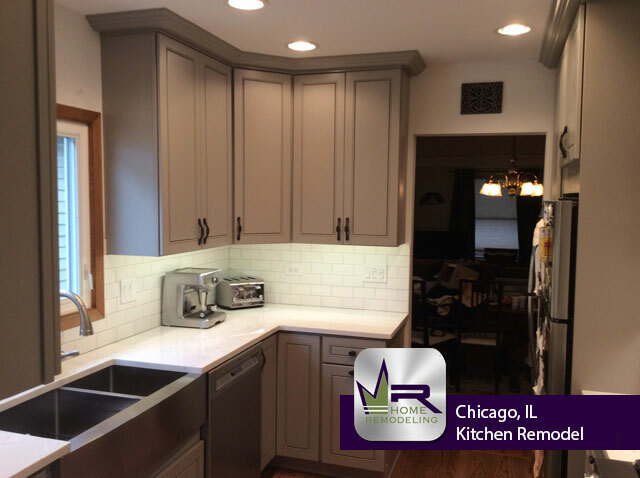 The contrasting finishes between the cabinetry, flooring, and countertops was artfully blended with the Emperador Light Honed Marble backsplash and Brenta Blend Decorative accent from Daltile. 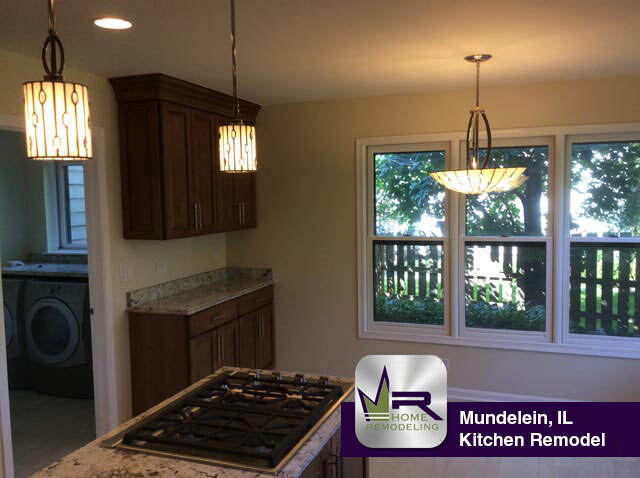 Regency did a great job creating a practical and elegant floor plan and style and competently executed. 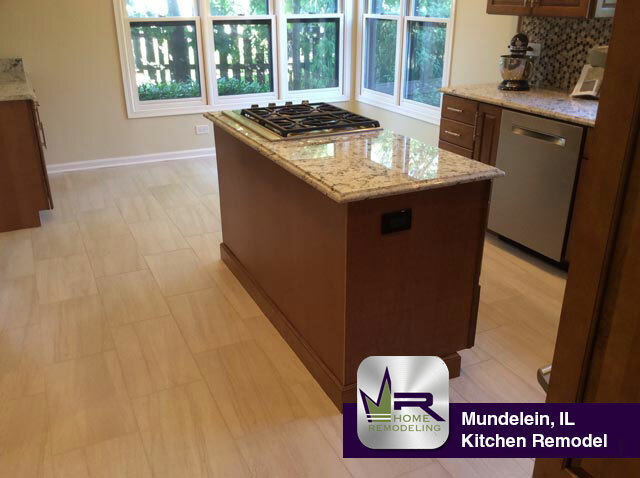 There is no doubt that the customers will love their new space and look forward to using this space every day! 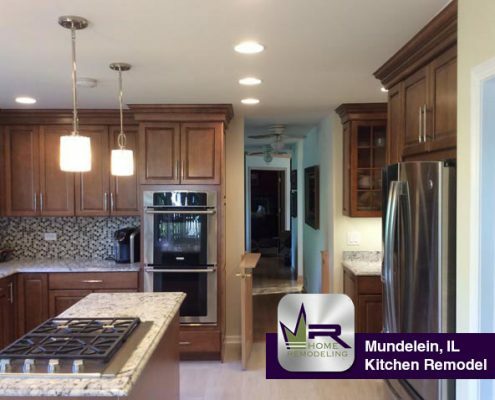 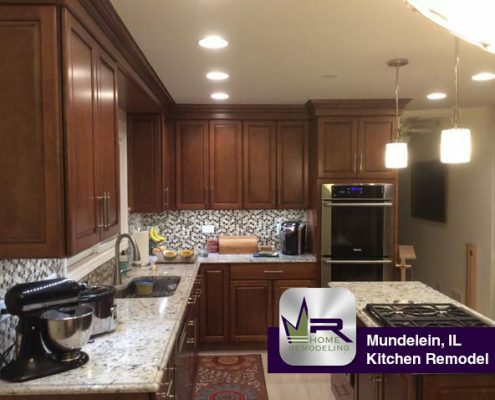 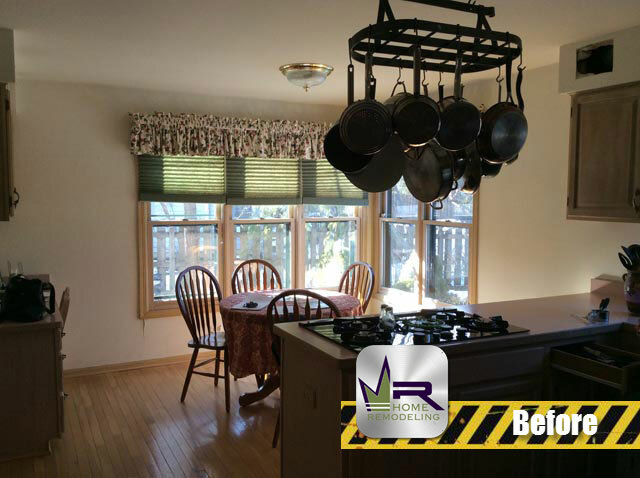 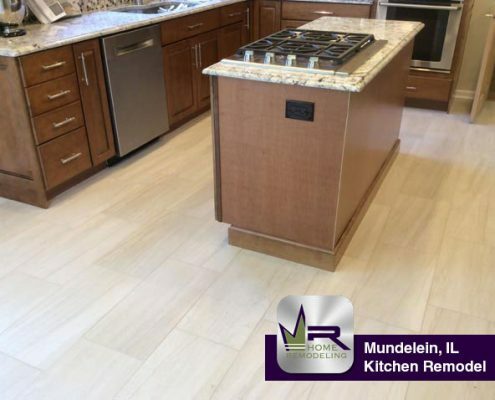 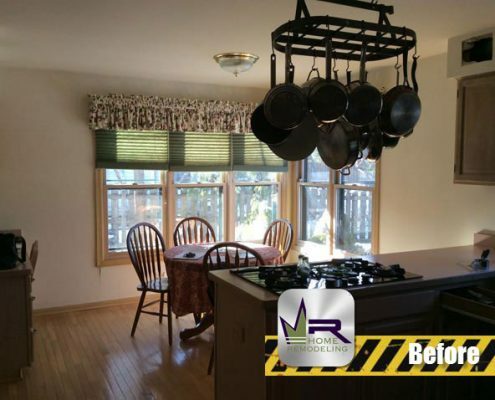 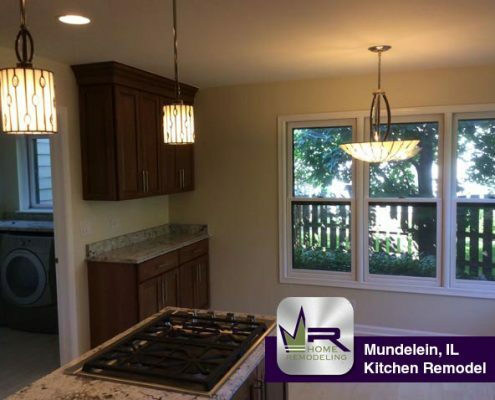 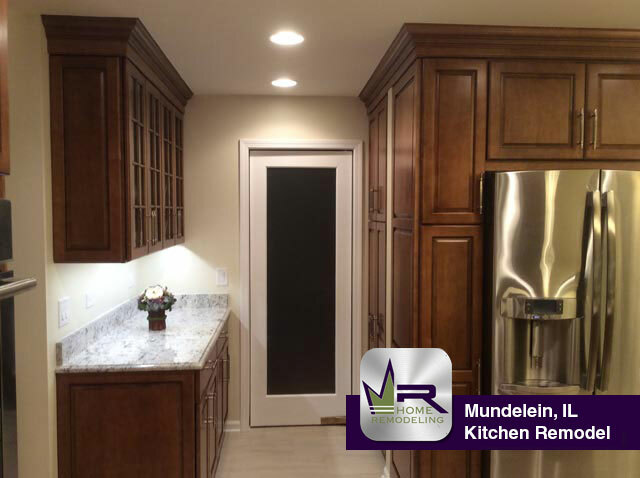 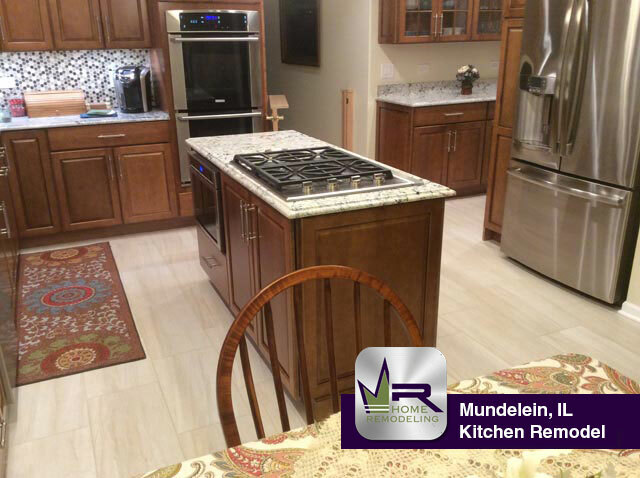 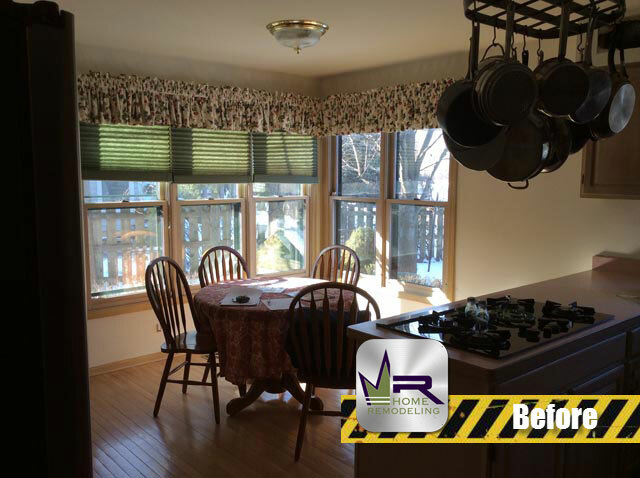 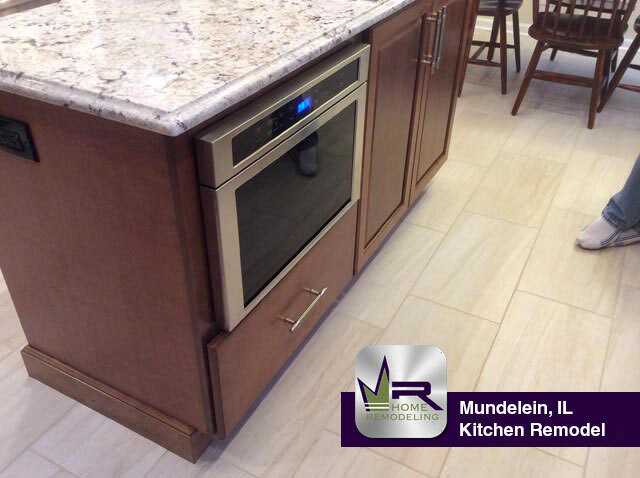 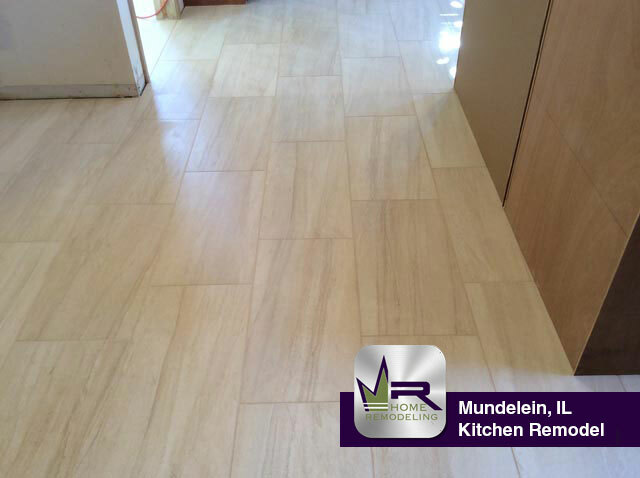 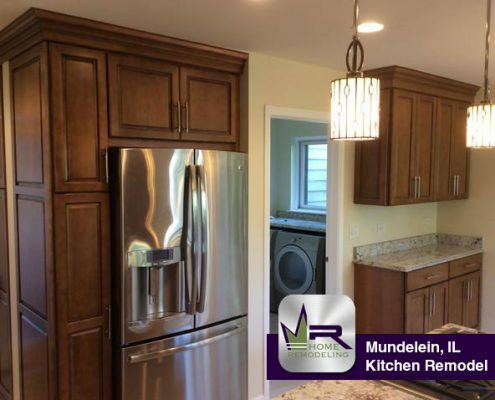 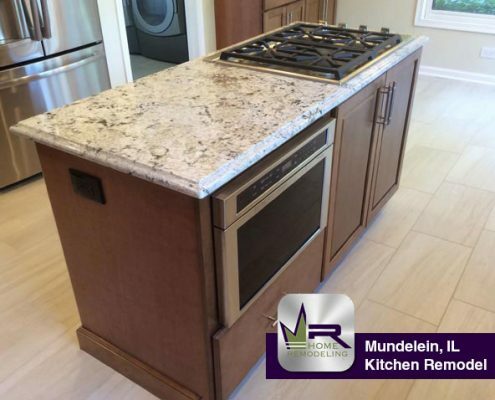 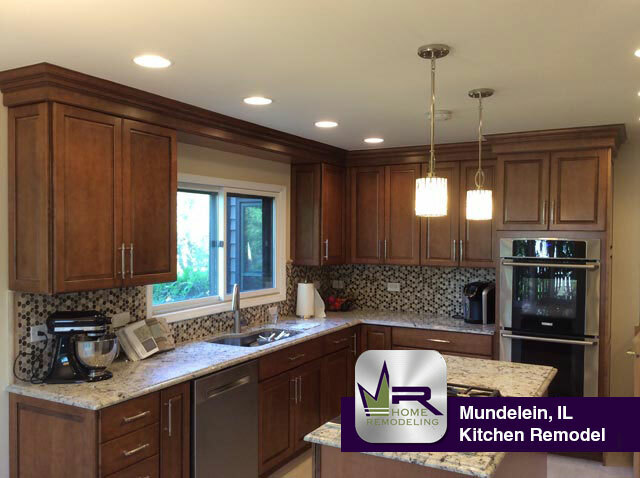 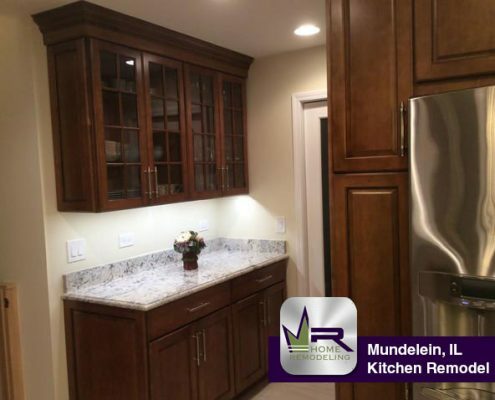 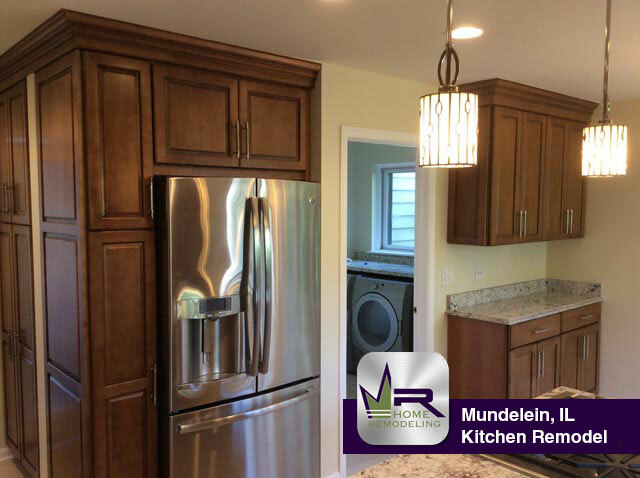 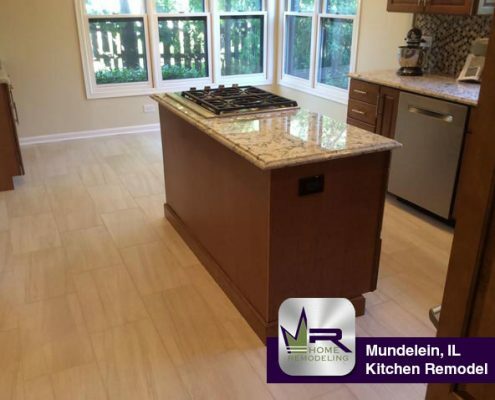 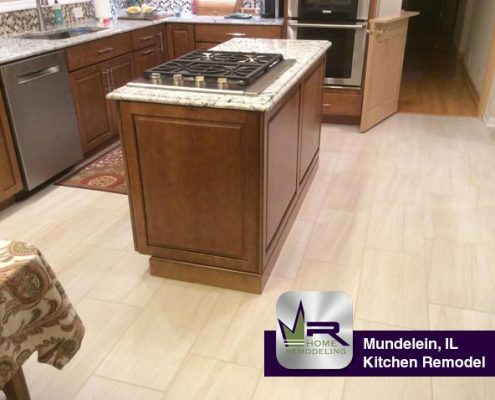 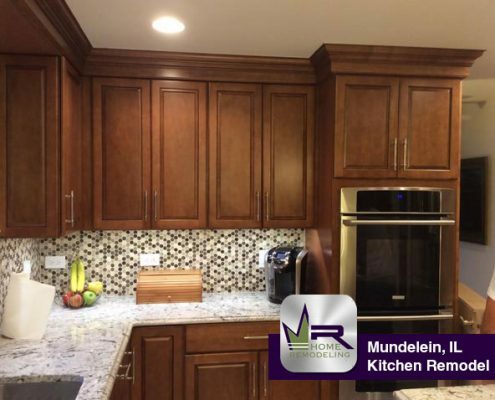 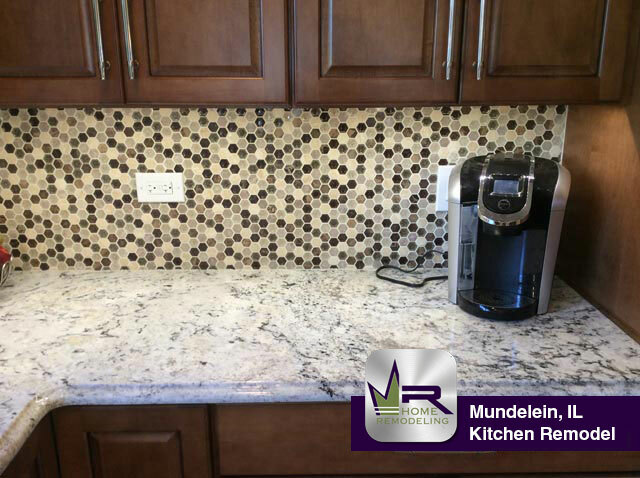 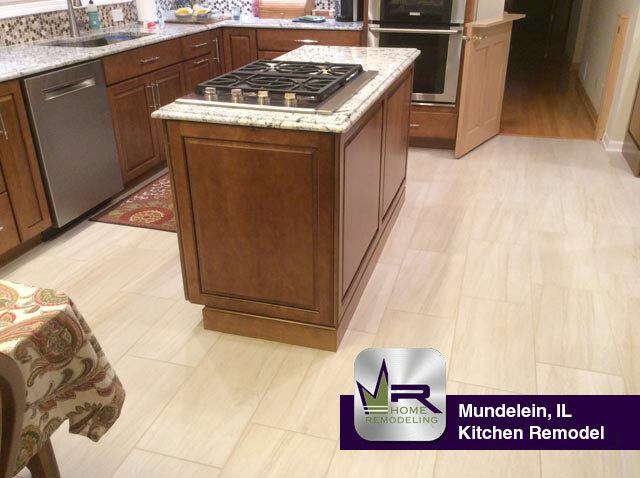 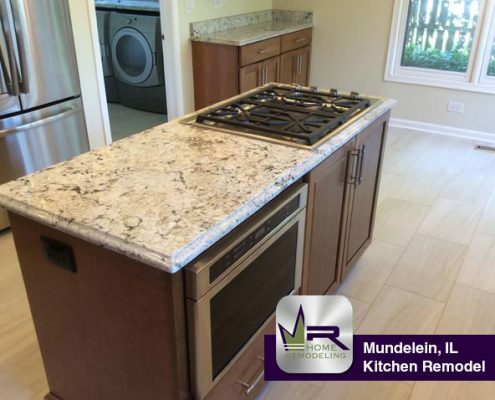 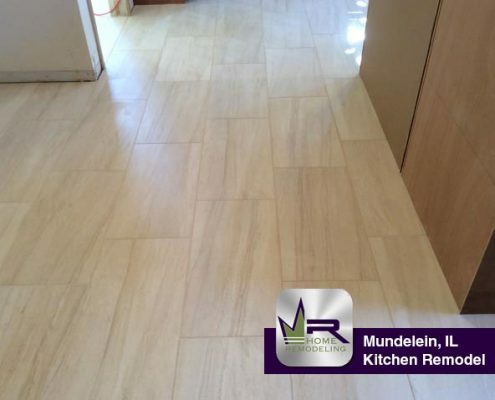 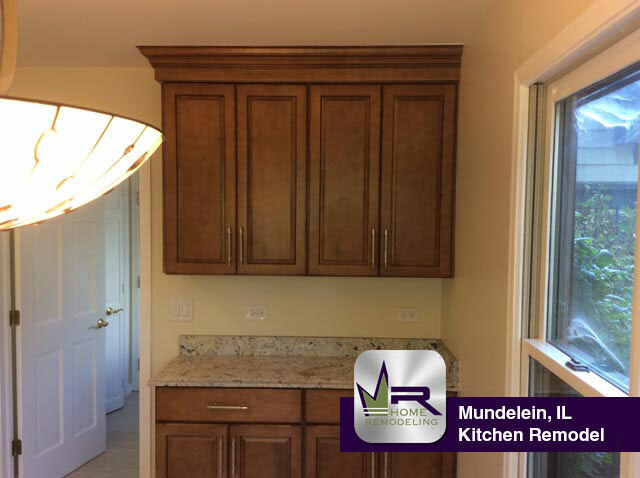 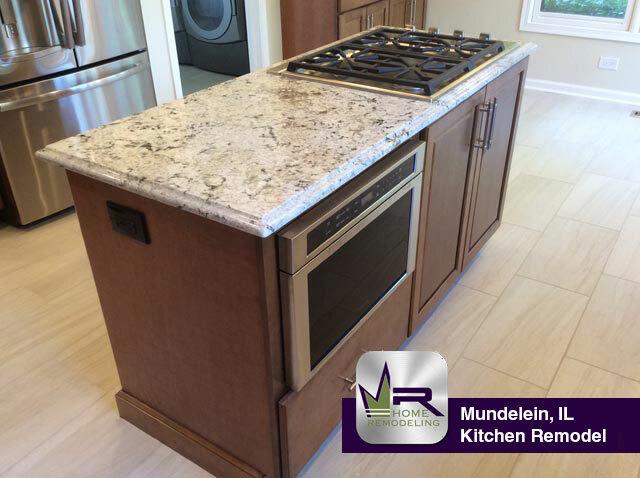 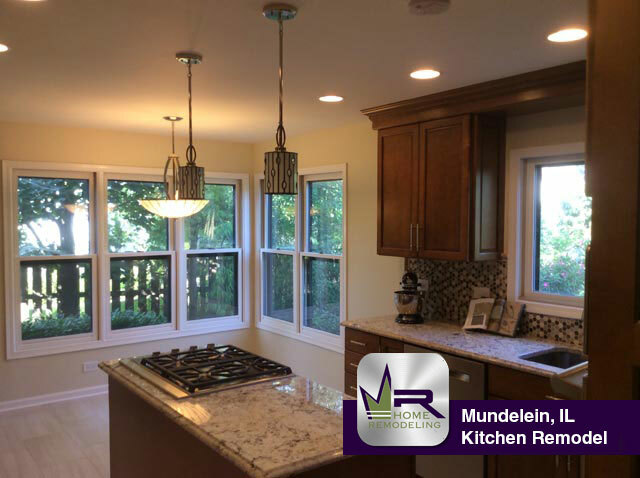 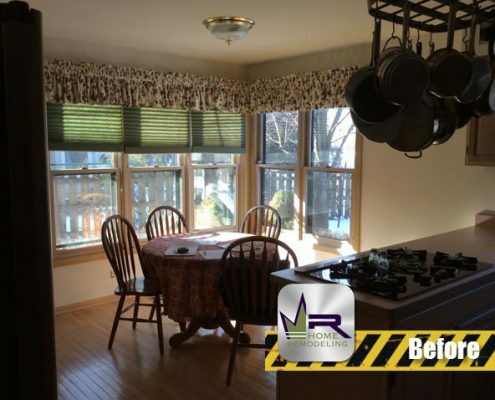 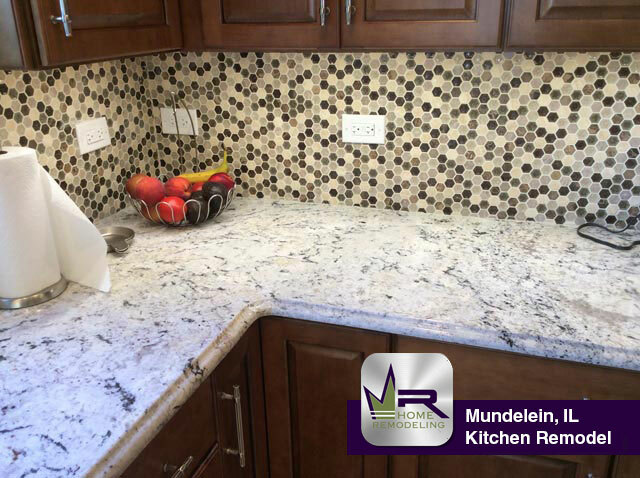 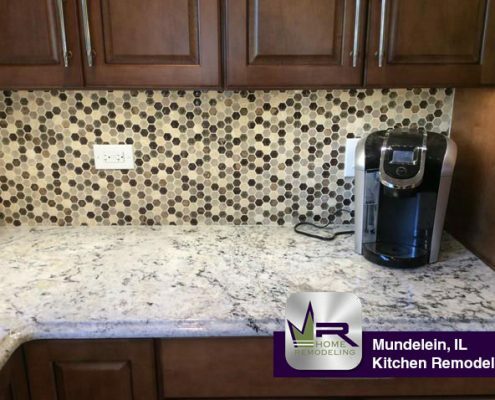 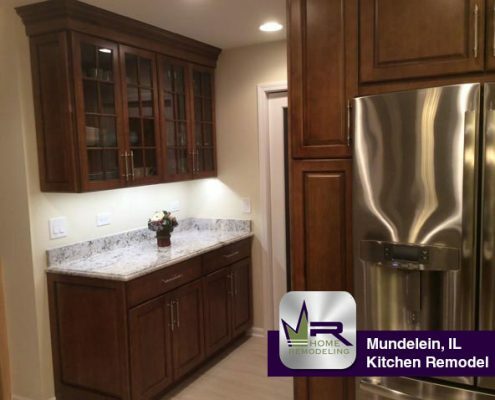 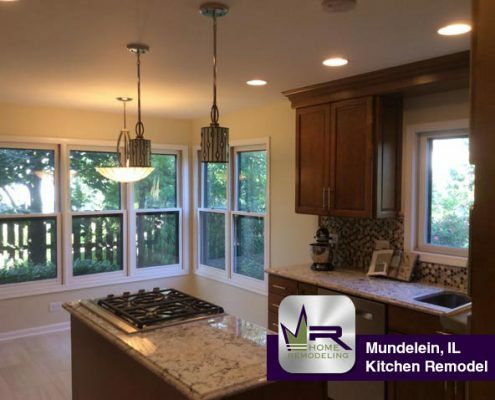 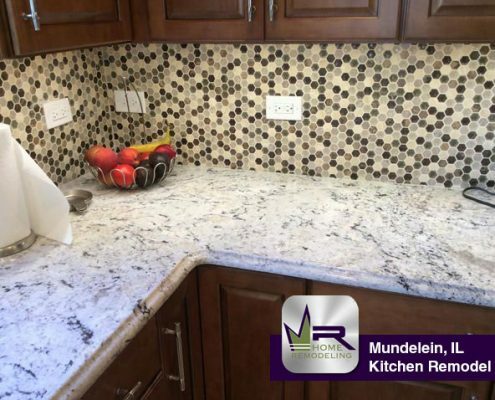 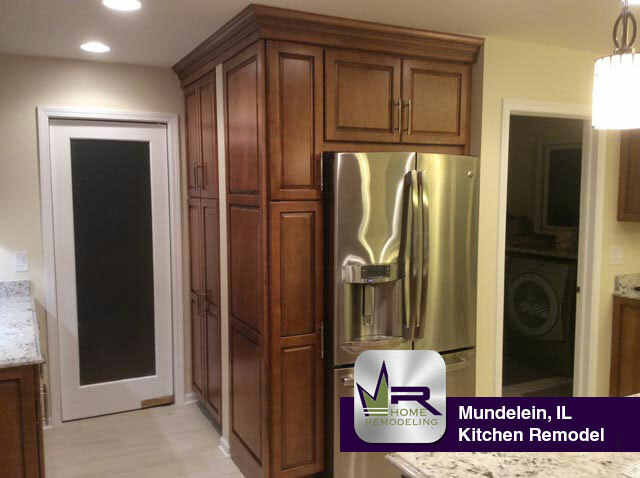 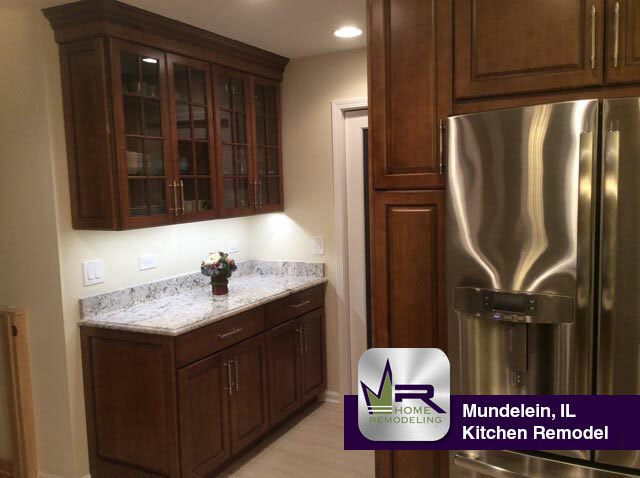 If you want a kitchen remodel in Mundelein, IL call the experts in home improvement, Regency Home Remodeling, at 1 (773) 930-4465.